Cambodia is a common stop for travelers visiting South East Asia for its fascinating history and impressive temples. Phnom Penh and Siem Reap are two of the must-stops in the country that offer different vibes for backpackers. 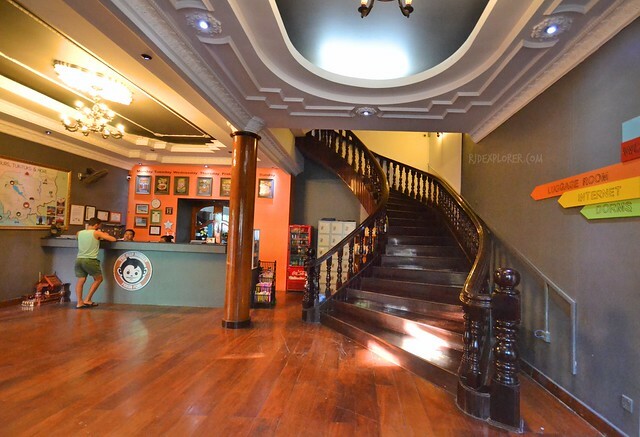 Despite being diverse, a backpacker hostel brand is common for the two. 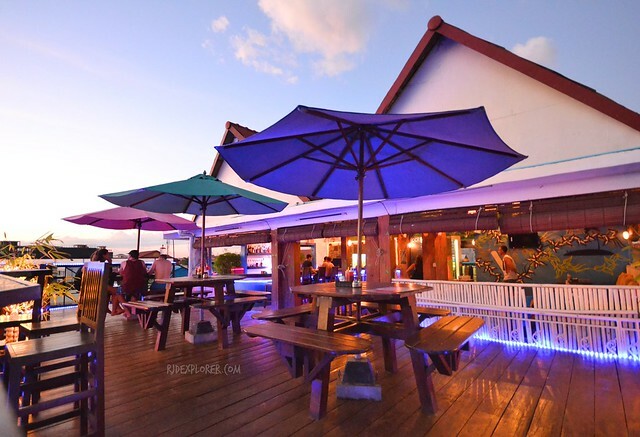 Mad Monkey Hostel is famous in Cambodia as a party hostel that caters travelers who love roof-deck and pool parties. 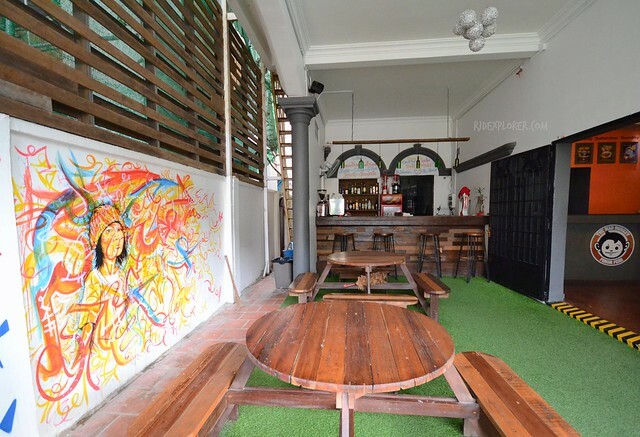 I’m not a party freak but I opted to stay in Mad Monkey Hostels because rates are affordable for as low as 7USD a night. Dorm rooms have either 4, 8, 10, or 12 bunk beds. In addition are deluxe double or triple rooms that range from 16 to 24USD per night. The reception is at the lower ground of the colonial villa. The compound has a pool bar on the side and a lounge carpeted with artificial turf and has several wooden tables and chairs for some hang-outs. The regular-sized pool on the front yard is usually crowded during noontime until sunset. Across the road is another property housing the communal rooms with a restaurant on the ground floor. Every floor of the hostel has imaginative artworks and mural paintings created by some travelers who stayed in the hostel. I was lodged in an 8-bed air-conditioned dorm room with en-suite toilet and bathroom. Hot and cold shower is available and minimal shower essentials. The room has a balcony that usually serves as smoking area of travellers. Lockers are located just below your bed if you’re staying on a lower bunk. Just bring locks as the management doesn’t provide one. 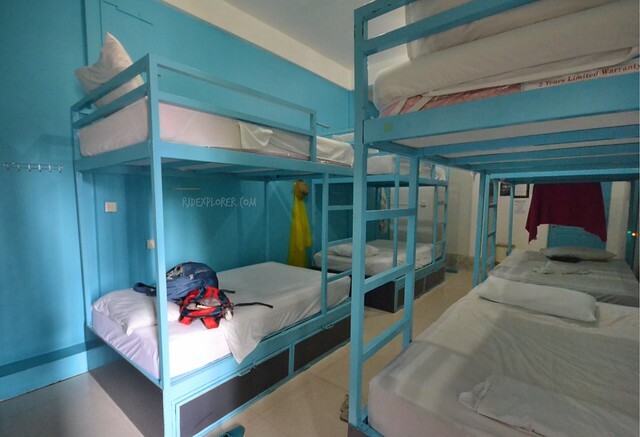 Mad Monkey Hostel in Siem Reap is not located along the highway. The main gate is a stone-throw away from the road, just look for the monkey signage. The reception will be on your left when you get inside the hostel’s compound. Adjacent to it is the pool bar and the pool. I arrived around 7 in the evening and was immediately checked-in and ushered to my room on the second floor. Similar to my room in Phnom Penh, but on a 4-bed dorm room, the beds are covered with clean sheets and has a pillow. Towels are available but need a deposit of 5USD (for Phnom Penh) and 10USD (for Siem Reap). Just make sure to take care of it and return the item upon check out to get your money back. 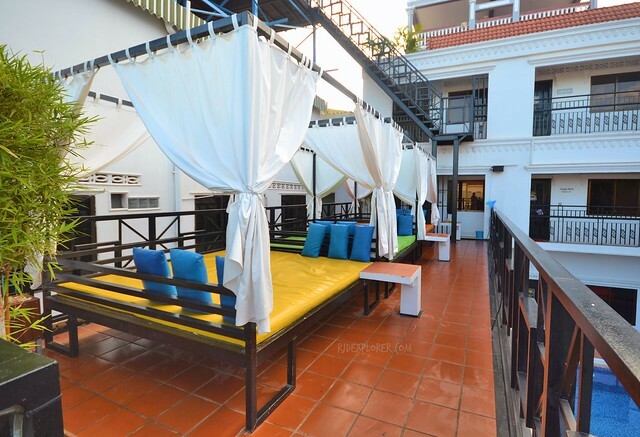 Another thing that makes the Siem Reap location a standout is the sundeck lounge with massive beds, pillows, and waterproof mattresses. Pool is open from 9AM and closes at 7PM to kick-off the roof-deck parties. Pool-sides are also areas for colorful bean bags as alternative if you intend to keep away from the water but still be close to the revelry. 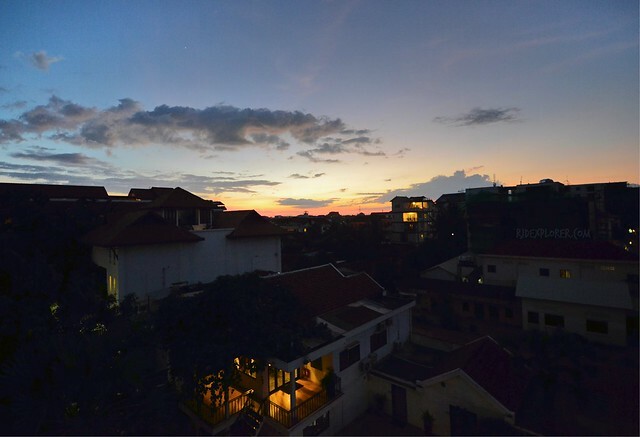 If you’re too tired to scale some temples in the Angkor Archaeological Park for a sunset, then head straight back to Mad Monkey Hostel in Siem Reap and witness a stunning sunset in Cambodia on their roof-deck. Different party themes are Monday Free Keg Party, Tuesday Afternoon Pool Party, Wednesday Nights Traffic Light Party, Friday Black Light Party, and Saturday Beer Pong Tournament. If you’re a solo traveler, ready to mingle, and get to know other travelers from different parts of the world, these parties are the best time to meet people. 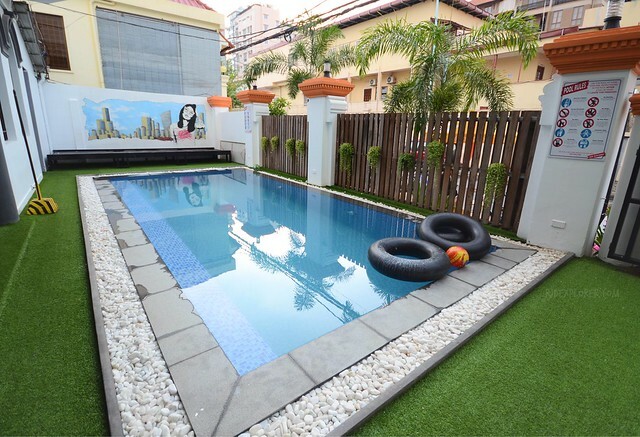 With the parties and games, you might consider that Mad Monkey Hostel offers a carefree idea of travelling. Behind the hostel’s mission and vision are social responsibilities. These include providing clean water to rural areas of Cambodia, educational support to Cambodian kids, and arts support fund. For the clean water project, the brand aims to build 232 water wells in Cambodia. As of writing, they already built 228 wells and these will relieve Cambodians in the rural area walking for an average of 2.3 kilometers just to collect clean water. Total funds deployed for the educational support project already reached $11,400 and optimistically will help children access quality education. Since hostel rate is cheap, staff encourage travelers to support these causes when booking a stay in Mad Monkey Hostels. Due to a limited schedule, I was only able to stay in their Phnom Penh and Siem Reap locations. But if you have more days to spend in Cambodia, visit Mad Monkey Hostel in Kampot and Koh Rong. Most of my time in the hostels were spent sleeping as I had hours walking and exploring city attractions and temples. Though I constrained myself from joining the parties, I’m a loser, this didn’t deter me to get to know and share travel stories with fellow travelers. Hope to try these crazy parties in Mad Monkey Hostel on my next visit in Cambodia. 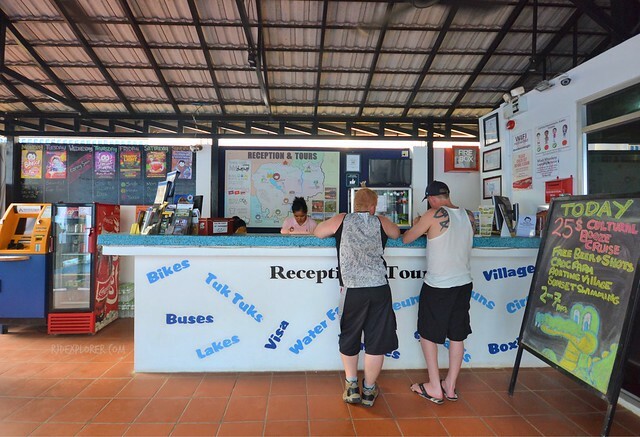 Book your stay in Cambodia by clicking on the banner below. 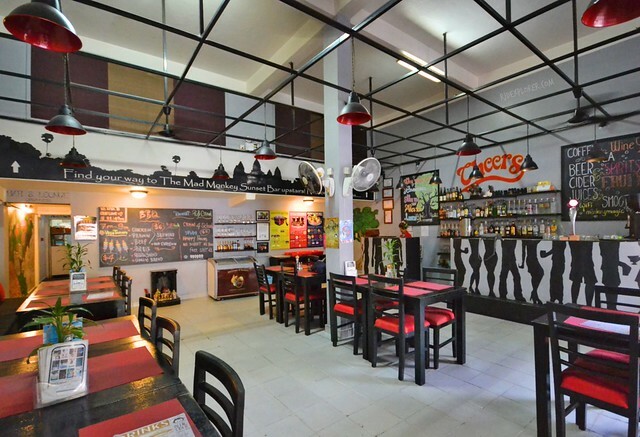 Disclosure: Thanks to Mad Monkey Hostel for accommodating me on my stay in Cambodia. All opinions stated on this post are my own.